The leading designer, manufacturer and installer of trusted access solutions for vehicles. Part of the global Mobility Networks Group, Passenger Lift Services (PLS) has been the UK’s largest manufacturer of wheelchair lifts for passenger accessible vehicles since 1991. It is also currently regarded as the UK market leader in vehicle cassette lifts that provide unsurpassed reliability, safety and performance. PLS is based in the traditional heartland of UK manufacturing, the West Midlands, and supplies a total access solution for vehicles in the PCV and WAV (wheelchair accessible vehicles) sectors. Its talented team of designers, manufacturers and technicians take pride in their engineering excellence which delivers electric/hydraulic wheelchair lifts and ramps of utmost quality. PLS has a state-of-the-art production facility that produces bespoke solutions suitable for all types of bus, coach, mini-bus or WAV specification. This trusted specialist has rigorous testing procedures so all global safety legislation is met and its R&D department continues to innovate in terms of vehicle accessibility. Vehicle builders, convertors and operators all benefit from specifying PLS as this proven name provides a holistic service – from conception to completion and beyond. PLS provides expertise at every stage of a lift installation and during after-sales support so that your experience is hassle free and your wheelchair lift delivers long term value. Passenger Lift Services – celebrating 25 years and 25,000 lifts in 2016. PLS provides a comprehensive range of Access™ electric wheelchair lifts for vehicles and a portfolio of other equally impressive products for accessible vehicles. Wheelchair lifts, cassette and inboard, are available for all types of vehicle within the PCV sector from PLS – its Access™ range provides the strongest, lightest and most reliable choices on the market. These include lifts for coaches, low floor city buses, mini/midi-buses, vans and ambulances. PLS can design, manufacture and install powered wheelchair lifts for many other types of application including PTS vehicles, trams, trains and marine craft. Every PLS product delivers assured performance so risk is minimized and safety is maximized for vehicle operators and disabled passengers. 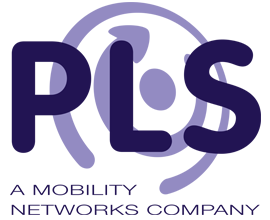 PLS is a Mobility Networks company so is able to provide additional access solutions from around the world through an established network of trusted international suppliers. Mobility Networks has several manufacturers and offices located globally so the best worldwide access solutions are available through PLS. In addition to its core manufacturing, Passenger Lift Services can supply vehicle access ramps, WAV floor conversion kits, vehicle door opening systems, the ‘Flexi’ range of access products and many more. FlexiRail, FlexiWAV, FlexiWinch and FlexisRamp all offer wheelchair passengers and drivers with seamless access to a domestic vehicle. The compact FlexiStep also provides easier access into commercial delivery vehicles as it consists of a manual or automatically deploying external step. The PLS portfolio continues to evolve and expand so the latest accessibility challenges can be met, now and in the future. Passenger Lift Services – vehicle access solutions that innovate, always. PLS delivers unrivalled flexibility, adaptability and responsiveness in the provision of disabled access lifts for vehicles. It provides all the services that a vehicle convertor or operator requires to ensure their fleet has safe and appropriate wheelchair access. The PLS technical department has the design expertise to develop customized lifts whatever the specification and regularly work closely with clients to ensure solutions meet expectation. The production line at PLS is renowned for its proven precision and efficiency with fast turnaround times and quality workmanship. Every commercial or wheelchair passenger lift dispatched from the PLS factory has the hallmark of engineering excellence – world class attention-to-detail for unsurpassed reliability. In addition to the customized specification and manufacturing of wheelchair access lifts, PLS provides a comprehensive installation, servicing and repair service. 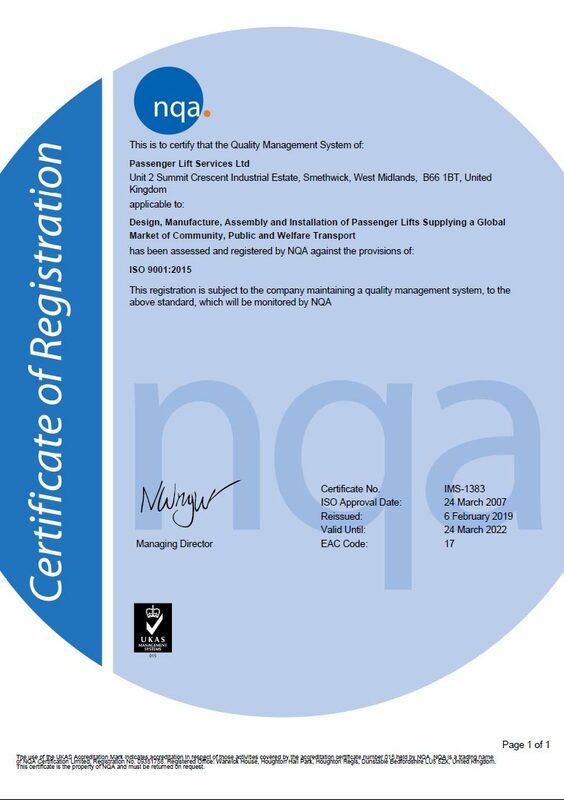 Passenger Lift Services prides itself on establishing long-term relationships with customers and delivering market-leading warranties. No other vehicle access lift specialist provides this outstanding level of service. The Passenger Lift Services Mobile Service Department operates across the UK and parts of Europe, 24/7. In regions further afield it works in close collaboration with Mobility Networks’ engineers so servicing and repairs can be completed efficiently worldwide. In the UK there are over 100 engineers on call and ready to assist with all sizes of fleet requirements, backed up by fast parts supply from the PLS headquarters. PLS continues to strive for faster delivery times and increased product variety – hence it will shortly be installing a custom powder coating facility to further strengthen its holistic manufacturing capabilities. Passenger Lift Services – regional support, global expertise. As part of the global Mobility Networks organization, PLS is able to manufacture powered wheelchair lifts and other access solutions that meet all current global safety standards. Its technical designers ensure all products are rigorously tested before installation so reliability and performance are maximized. With this assured conformity, every PLS disabled access lift or powered commercial lift will deliver the highest levels of reliability, durability and safety across a broad range of vehicle types.